Our mid-size (under 50 attorneys) Chicago-based law firm client is seeking a corporate senior associate or junior level partner who has 6+ years of experience in mergers, acquisitions, divestitures, debt and equity offerings, restructurings, entity selection and formation, and general corporate matters, and can first or second chair corporate deals. Any securities experience is a plus. No portable business is needed. This firm acts as outside general counsel and deal counsel to a various middle market businesses and private equity firms. This is a great opportunity for an attorney who wants to practice in a collegial environment and have a work/life balance (e.g., billable hours bonus begins at 1,500 hours). 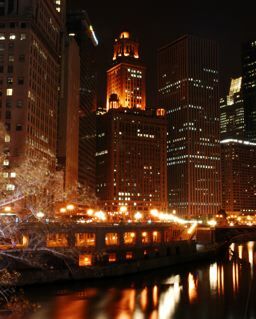 The Chicago office of our national law firm client is seeking an associate with 3-5 years of experience advising private equity clients regarding sophisticated merger and acquisition transactions, including related securities law issues with respect to such transactions and related offerings, as well as general corporate matters. This is a great opportunity to be part of a growing Chicago office and practice group.